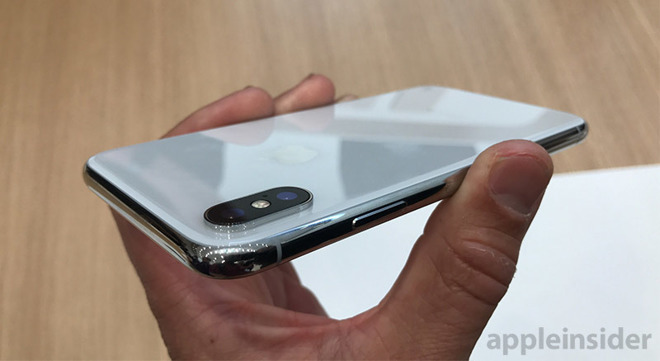 Apple analyst Ming-Chi Kuo has weighed in on iPhone X production rumors, also believing that there has been a reduction in orders —and because of weak demand the iPhone X design may be a one-up with production ceasing in the summer when replacements for the fall are being produced. In a research note seen by AppleInsider, KGI securities believes that Apple will ship around 18 million of the iPhone X in the first calendar quarter of 2018. Contrary to other predictions based on the supply chain, KGI says that the iPhone X has not been as impactful in China as predicted because of the notch holding the sensors for the device, giving consumers the impression that there is less usable space than on the iPhone 8 Plus. KGI also expects a trio of iPhone models in the fall of 2018. He predicts the iPhone X will be "end of life" in the summer of 2018, instead of being retained as a lower-cost option in the following year. If this is the case, it would be the first time that Apple has not retained the previous year's model to allow for a wide range of iPhones available at many price points. To replace the iPhone X, Kuo reiterates that the technologies will migrate to other models, and an "iPhone X Plus" model will debut, off-setting the concerns about usable screen area. Apple is being buoyed by the iPhone 6s and iPhone 7 families in developing markets, with both models being more popular than expected —but this is not the first time that this has been said. The firm remains "positive on Apple [and] the iPhone supply chain" in part because of the unexpected popularity of the older devices. Kuo is expecting small growth from the first half of 2018, with up to 5 percent growth. The note claims that any "super cycle" will start up in the fall of 2018 with Apple seeing 10 percent growth in the entirety of calendar year 2018, launched by the most growth after the releases in the fall. No comment was made about the 2017 holiday season results in the report, and all of Kuo's predictions are for the remainder of the calendar year —Apple's second through fourth fiscal quarters of 2018, and the first fiscal quarter of 2019.